Mtre Lacombe earned her diploma in Notarial Law in 1997 from the University of Ottawa. 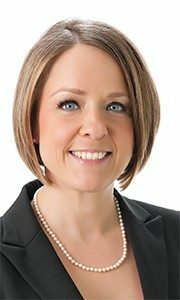 Given her keen interest in successions and real estate law, she responds to her clients’ important milestones in life with dedication and skill. She can also draft wills and mandates in anticipation of incapacity as well as handle non-contentious matters. Mtre Lacombe can help you to clearly understand the legal issues facing you and she does it all in a professional manner. Make an appointment now with Mtre Lacombe.